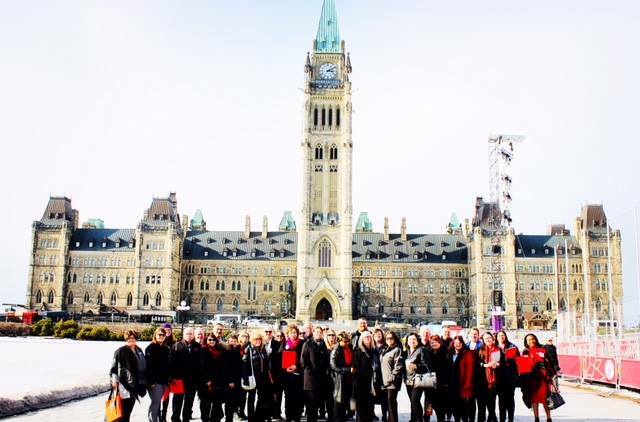 Council of Canadians Chairperson Leo Broderick (pictured front right) will be one of 125 public health care advocates meeting with MPs next week on Parliament Hill to lobby for the creation of a national pharmacare plan. 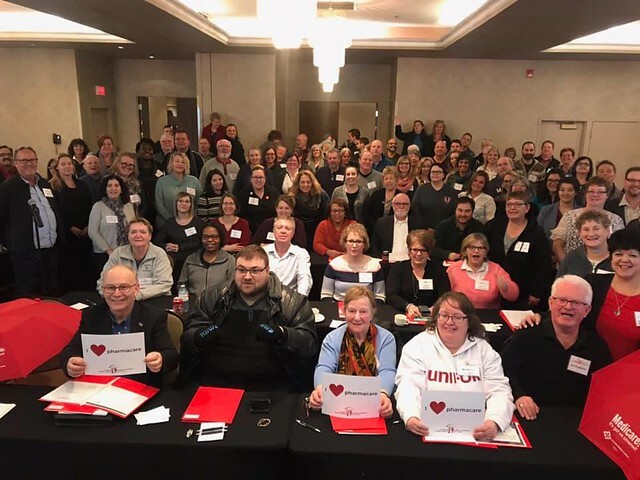 The Council of Canadians works alongside the Canadian Health Coalition (CHC), unions and other groups to promote improvements to public health care. Together, we are calling for a national pharmacare program that will ensure everyone has access to the prescription medications they need without the barrier of cost. Drug prices are skyrocketing for Canadians and more people have to choose between getting the medications they need and paying for their rent or for food. A pharmacare program would help keep people healthier and many would no longer have the economic burden of paying for medications out-of-pocket. Canadian employers would also benefit by not having to include expensive drug plans in employees’ benefit packages. Public health care advocates will be delivering these messages and more to MPs as part of the national lobby days for pharmacare. We hope MPs are ready to listen – and then act. Read more about the Council of Canadians' campaign for pharmacare.